How is the size against mechfanstoys and hotsoldiers? I'm only collecting those ones. 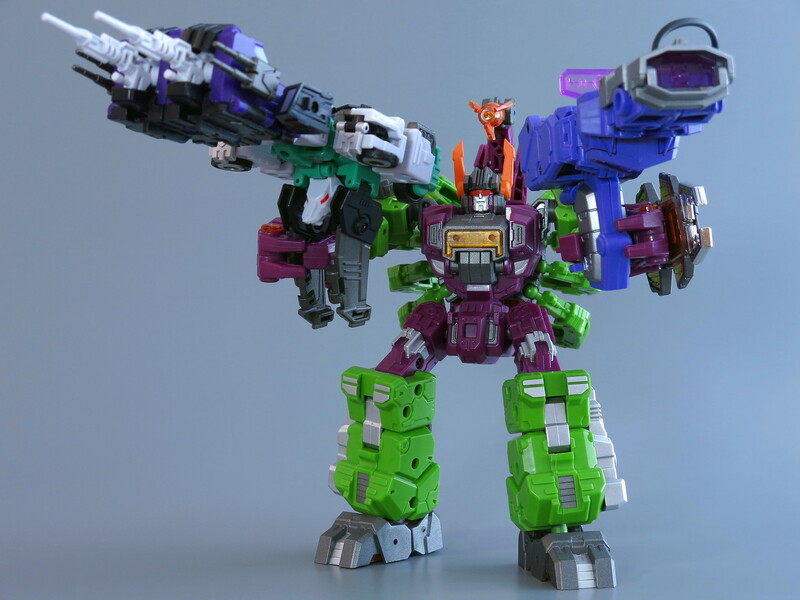 Weird, I want someone to downsize Infinitor, but I will settle for IF releasing their own MTMTE Fort Max. I went ahead and finally ordered one. I wonder what or even how the Titans Returns Scorponok head would look on this guy? Probably a little big, but also there's no way to connect them so.. ? It was just a thought. Would be cool though to fit a proper Titan Master in there somehow. Info is here: Minor/Repaint: - Lord Scorpion to TITANMASTER SCORPONOK! SO EASY!